Given the resurgence in popularity of retro video games, I wonder if anyone has begun making hacks of games designed to give them a more retro feel. 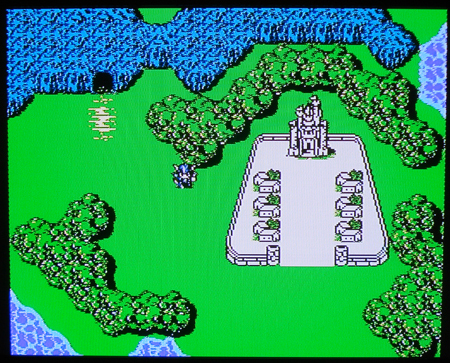 for example, a hack of Final Fantasy 4 which downgrades the sprites, music, and palettes to NES quality. obviously, it would be neat to play it on the actual NES, but i imagine an SNES ROM would suffice. Are there any projects like this going on? 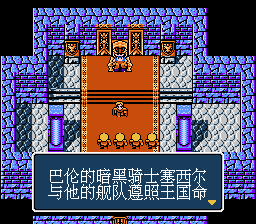 I am half reminded of the Chinese unlicensed SNES/genesis titles at this point. There was some talk about moving the DS copies of various final fantasy games from the DS 3d to the DS 2d graphics (DS 3d is rarely pretty and GBA/DS 2D is probably about as good as it gets, certainly more than capable of whatever home consoles could have ever done). Some Zelda games have had discussion towards this end though this is usually for people that started out on other titles and want the SNES Link sprite changed to one they are more familiar with (I have met it several times for the GBA port). I think some of the fire emblem crowd have done something here though that is often more for games of a similar generation or using old characters or something. There is also the likes of FF7 NES I suppose ( http://www.romhacking.net/forum/index.php?topic=12466.0 ) but that is an unlicensed title (though I practice I reckon homebrew is probably a better term) and back where I started. Why not try Bravely Default (3DS) or Yu-Gi-Oh The Falsebound Kingdom (GCN)? They are good games and i would LOVE to see them de-made! I've seen someone brought up the idea of a FFVII demake on Chrono Trigger. That wouldn't be a half bad idea. There are plenty of tools for CT, and it's a solid rpg engine. With some good ASM work it could be pretty awesome. Plus you hardly ever see any 16-bit demakes. I'm working (albeit slowly) on a demake of Mass Effect, using Starflight on the Mega Drive as a base. Going slowly, but finally have free time to work on it again for the first time in months. Although this is more of an adventure game than an RPG, and I'm not sticking to the story of Shepherd. Should make for an interesting prequel if I ever get anywhere though! Thanks man, I thought it would be cool too! Feel free to tell reddit, just don't get their hopes up for a release date! That already exists. 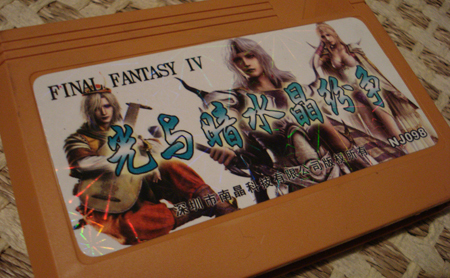 In fact, there are several FF4 demakes on Famicom. I happen to own a copy. Isn't one of them broken up into three games? 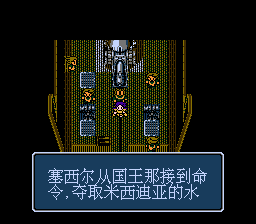 I'm aware of the Chinese release of FF4, but a lot of things were changed or removed for time constraints. The game does not feel very polished, is slow, requires lots of grinding, etc. That's not to say it's a bad game, but it would be interesting to see someone take FF4 and adjust the palettes / music / etc. to appear as though it were an NES game.